Home » Is SUBOXONE® Addictive? The short answer is no. 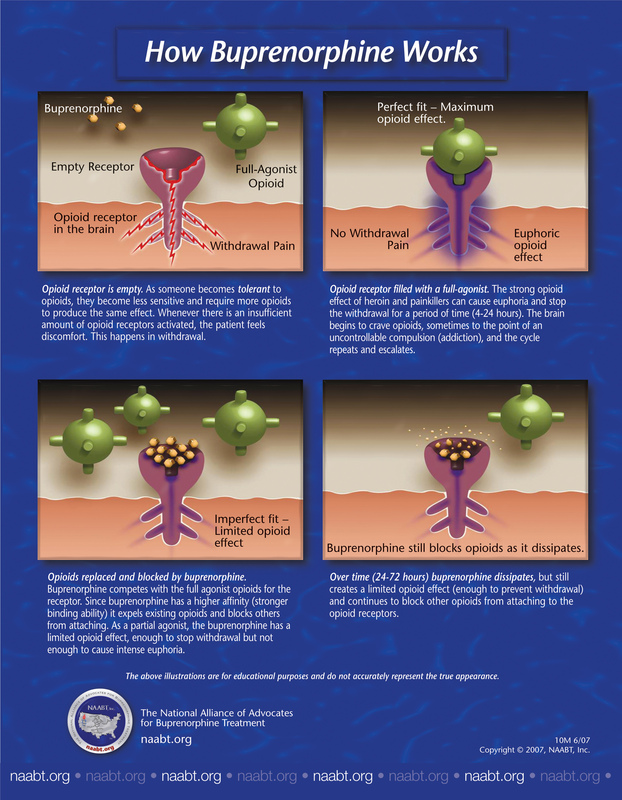 Suboxone simultaneously eliminates withdrawal symptoms and blocks the effects of opioids. Brightside Clinic specifically uses this product in our treatments to help make the detox transition as smooth as possible and takes steps toward a healthier body and mind overall. When actively recovering from drug addiction, it’s understandable to worry about being prescribed medicine for your addiction treatment, such as Suboxone. In fact, the number one question Brightside Clinic gets from their patients is whether or not Suboxone is addictive. While Suboxone has Buprenorphine as an active ingredient, the addiction treatment process does not have the same effects as heroin or other opiates and has been approved by the Food and Drug Administration for opioid treatment . Because it is a partial agonist, there is no high as there is with full agonist opioids, when used as directed. Buprenorphine helps individuals wean off opiate addiction by attaching to the receptors and putting them to sleep with little to no stimulation. This helps make the opiate withdrawal process easier. Over time, the dosage can be decreased as the brain heals by eliminating unneeded receptors. An increased dosage of Suboxone doesn’t increase the effects of Buprenorphine, making it very difficult to misuse the medicine. Since recovering from drug addiction is not an overnight process, dependency is often the first step for patients to acknowledge and learn to live with without compromising their health. Prescribing Suboxone as part of an addiction treatment allows a patient to live with the physical dependence to opioids rather than having their opioid addiction take over their ability to function. 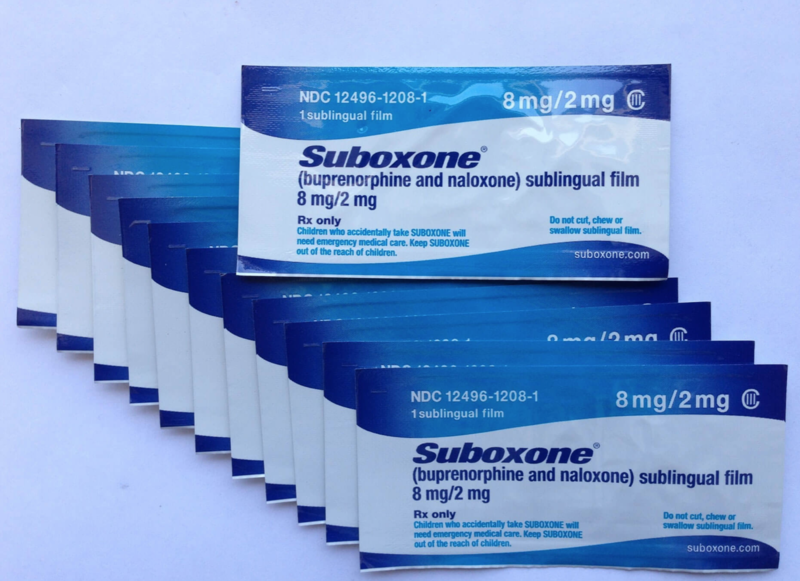 The half-life of Suboxone averages 24 to 42 hours depending on the person. This means that Suboxone will remain in your system for approximately two days. A drug’s half-life is the time it takes for a drug’s concentration in blood plasma to be reduced by 50%. It is important to remember that Suboxone is very beneficial during recovery, and is widely considered the preferred medication for helping people conquer opioid addiction. Suboxone reduces compulsive behavior, loss of control and cravings—all symptoms present in opioid addiction. When all symptoms of addiction cease, remission begins. Medically-assisted treatment with Suboxone is not switching one addiction for another and is most successful when combined with counseling. HOW LONG SHOULD I BE ON SUBOXONE TO GET COMPLETELY CLEAN? Suboxone should be taken long-term to promote successful opioid recovery. Individuals wishing to stop taking Suboxone need to taper their dosage under the care of a addiction specialist. Our continuation programs can last from 6 months to a lifetime depending on your prior dependence and long term goals. During the first few months of treatment we recommend and offer counseling or group therapy through us or through our partners that offer intensive outpatient programs (IOP), group therapy, or residential/inpatient care. People who take Suboxone for a very short period (a month), have a high rate of relapse. Thus, Suboxone should be taken for an extended period of time. Taking it for six months to one year is the typical recommendation, and many people take it for much longer. Every patient is different and our Suboxone clinic works with the patient to customize a treatment plan based on individual needs and goals. Our medical professionals will also monitor progress and advise on how long each patient should take Suboxone. We do not take a one size fits all approach. Suboxone comes in pill or a sublingual film (strips) form. Suboxone pills are five-sided and orange. The Suboxone sublingual films are about the same size as breath strips and are also orange in color like the pills. Suboxone sublingual film should be taken exactly as indicated by your physician. It is generally recommended that Suboxone sublingual film be taken by placing it either under the tongue. Adjustments to the dosage are sometimes made after monitoring its effects for the first few weeks. 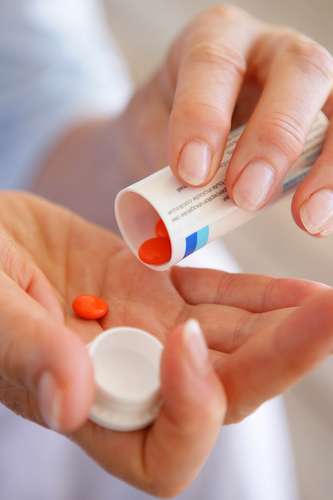 Dosing should only be changed at the instruction of your physician. Never take Suboxone more than prescribed and never leave the foil pouch easily accessible to others, especially children. For many years Methadone has been the primary tool for treating heroin addiction; however, people who take Methadone are required to visit their Methadone clinic daily to obtain the medicine. This can be a barrier to treatment for many, especially as Methadone clinics are not present in every community. While Suboxone is also used for addiction treatment, a physician can prescribe the medication from their office for the person to take home—making treatment and recovery easier. If you or a loved one is suffering from opioid addiction, BRIGHTSIDE Clinic is ready to help with the recovery process every step of the way with medically-assisted treatment and counseling. Their individualized addiction treatment takes into account one’s health, medical history, and even their location to determine the best course of action for each patient. BRIGHTSIDE Clinic makes it our mission to provide accessible treatment that’s inclusive to anyone who wants to overcome their addiction. For more information, contact our Northbrook, Tinley Park or North Aurora location. Next Next post: What Is SMART Recovery® & How Can It Help With Addiction Treatment?